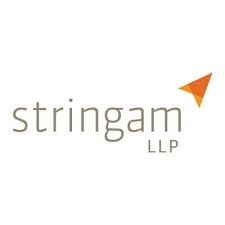 Stringam LLP is recruiting for an Associate Lawyer – Barrister. Stringam LLP is Alberta’s largest regional law firm providing premium, tailored legal advice with over 100 years of experience. Our demand for excellence has shaped us into a focused and streamlined firm, committed to providing the very best legal services. With offices located in Lethbridge, Grande Prairie, Medicine Hat, Beaverlodge, Brooks, Fort McMurray, Taber and Raymond, our team has experience handling a variety of cases in all areas of law, from litigation, family and divorce to business, real estate, agriculture, and personal injury. Are you interested in becoming the next member of this exceptional team? Our goal is to employ great people who are interested in contributing to the success of our business and the profession we serve. We hope you choose Stringam LLP as your employer of choice towards a meaningful career in law. The Opportunity: Our growing practice in our Lethbridge office requires an Associate Lawyer to continue our tradition of providing exceptional services on behalf of our clients. We offer a collegial atmosphere where we are engaged, connected and enjoy the work we do and where you will benefit from a supportive environment in which to develop your career. Qualifications and Competencies: • Minimum 2 – 5 years’ litigation experience, including the areas of general civil litigation, corporate/commercial disputes, construction litigation, personal injury, estate litigation, and family and divorce – or a satisfactory combination thereof. • Law degree from an accredited Canadian law school and a member in good standing with a provincial law society. • Strong drafting, negotiation and communication skills. • Highly focused with attention to detail; a motivated self-starter. • Superior organizational and time management skills with an ability to manage multiple projects. • Experience with and ability to handle all phases of litigation from discovery through trial. Our lawyers subscribe to certain fundamental principles in their practice: • A commitment to provide the best possible legal service for a reasonable cost, • A commitment to honoring the fundamental principles of our profession, and • A commitment to our clients and focusing on serving their best interests. Are you interested in becoming the next member of this exceptional team? Our goal is to employ great people who are interested in contributing to the success of our business and the profession we serve. If you would like to take part in our plan and join a fast paced, dynamic and growing firm we want to hear from you! In addition to camaraderie and a dynamic workload, this position will offer the successful candidate with generous compensation, non-traditional bonus structure and benefits package and the perfect balance of work and life. Our comprehensive benefits package includes medical, dental, prescription drugs, life insurance, disability, critical illness, vacation and sick time benefits, maternity and parental leave benefits. To apply please send a cover letter and resume to the attention of Shara Skea, while quoting the job title in the subject line at hr@stringam.ca . All applications will be held in strict confidence. Stringam LLP wishes to thank all applicants for their interest. Please note that only those candidates selected for an interview will be contacted. Stringam LLP is an equal opportunity employer.